How Much: $40,000 per night. 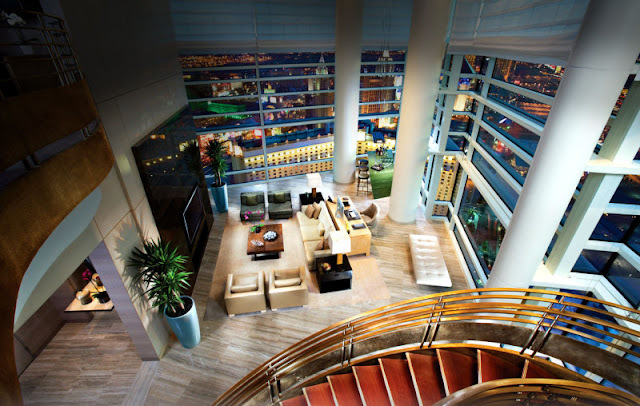 The Palm’s Resort offers a private glass elevator, a cantilevered glass swimming pool overlooking The Strip, a dry sauna as well as a spa and a 24-hour butler service to cater to all your whims and fancies. Fan of basketball? the hotel also has a full court that you can book for the night for an additional cost of $24,000. How Much: $45,000 per night. The Raj Palace Hotel as actually a real palace belonging to the royal family in Jaipur since the 1700s. 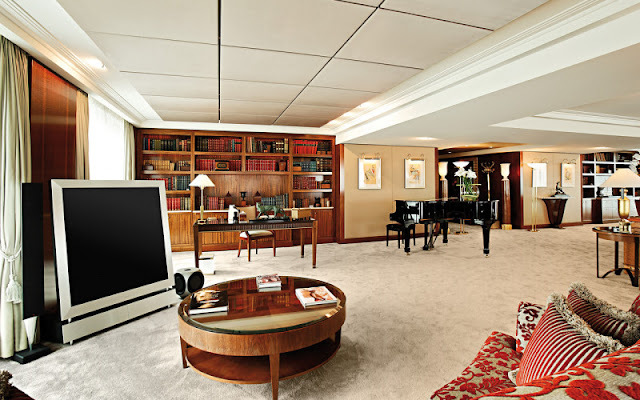 The opulent 6 bedroom suite has ivory and gold furniture, a private theater, a huge library and a magnificent dining room. To make the guests feel like a part of the royal family, they also have access to a fine team of world class chefs and butlers to cater to all your desires at any point in time. 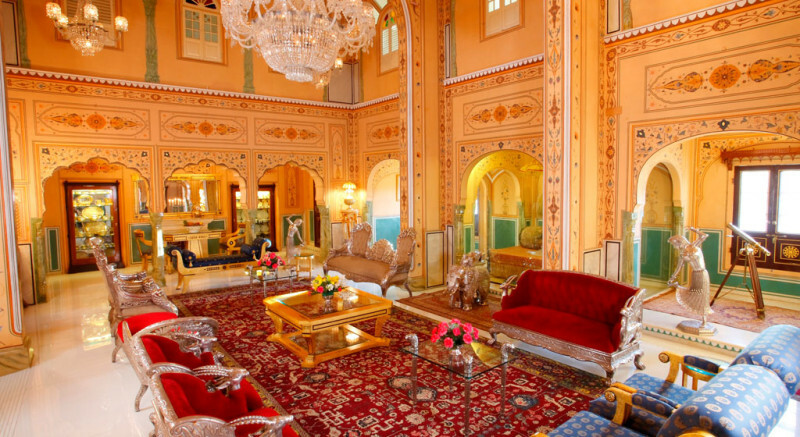 So expect nothing less than a grand stay fit for a Maharaja! How Much: $47,000 per night. The Royal Villa guests are flown in on a private jet for a regal start to their holiday. The guests can choose from an indoor or outdoor pool to suit their mood and have a butler, pianist, trainer and chef there to serve them round the clock. If you are lucky (and rich enough to stay in this suite!) you might also bump into Leonardo DiCaprio and Meryl Streep too during the holidays! How Much: $55,000 per night. The Ty Warner Penthouse sits on the 52nd floor of the Four Seasons Hotel offering a breathtaking 360-degree view of Manhattan. Adorned with cathedral ceilings, diamond skylights,floor-to-ceiling windows for an uninterrupted view of the starry city and if you feel like coming down to the ground from the highest suite in New York, there is a Rolce Royce with a chauffeur at your service. The interiors are a symphony of luxury and world art with soft calfskin leather, Chinese onyx, Japanese silk, Venetian velvet and sinks carved from crystal rock! With the number of precious stones embedded in the furniture, this suite is the easiest treasure hunt spot! How Much: $80,000 per night. The grandest of them all; Hotel President Wilson’s Royal Penthouse Suite offers you the ultimate spot for lazing lavishly on their 1700 square-meter terrace with a panoramic of the mountain-lined Lake Geneva. 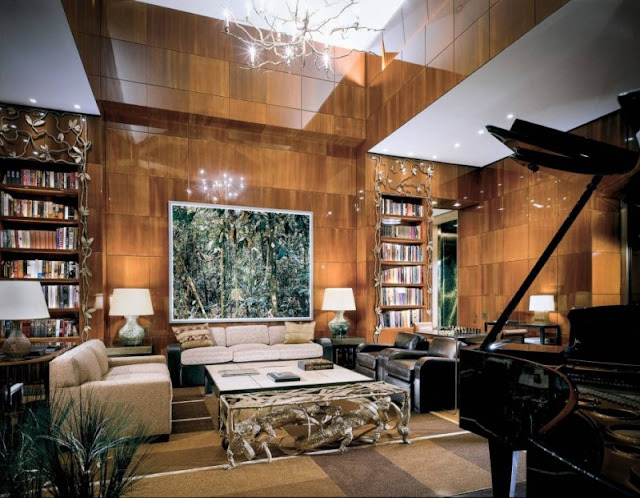 Play a tune on the Steinway grand piano and if you are feeling a little more playful, then why not start a never ending game of hide and seek in the 12 bedroom – 12 bathroom luxury arena (the best spot to hide is probably the human-sized safe!). With features like helipad access, private elevators and maximum security to the level of bulletproof windows, frequent guests Bill Gates and Michael Douglas have a sound sleep in the Penthouse!